I was taking pictures at the Fourth Grade Science Fair when I came upon this demonstration of how the Grand Canyon was formed. 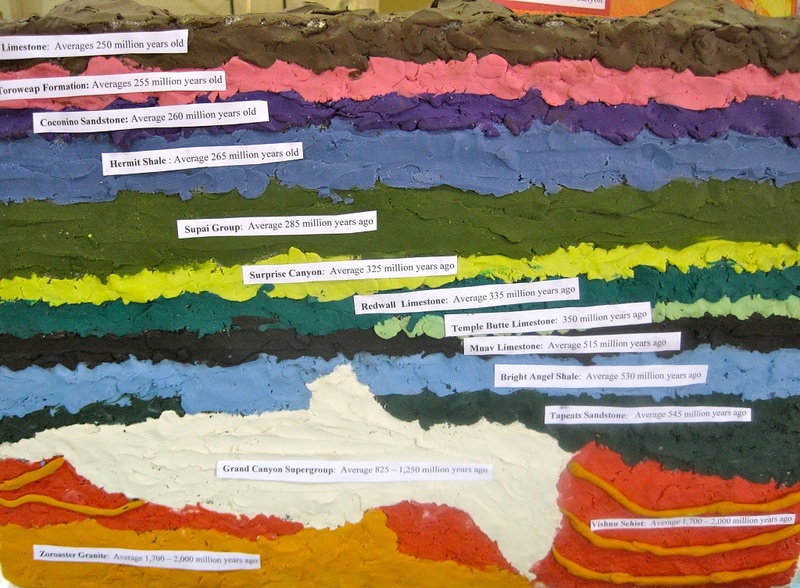 The student created this model by layering plasticine over styrofoam. Besides being informative, this is a great piece of art. And, I'll bet the student never forgets the information, either! that's such a clever and simple idea and the end result so interesting. How creative. Looks like this student is definately a visual learner. its very colorful--always amazed what some of these kids come up with!! This is a great project! I bet you captured some really good photos yesterday. Love the photo's colors! It's a fabulous piece of art!